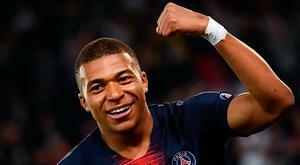 Kylian Mbappe scored a hat-trick as Paris St-Germain celebrated winning the Ligue 1 title with a 3-1 victory against Monaco. On days like these, Gerard Deulofeu does not wear his heritage as a child prodigy lightly. Watford manager Javi Gracia admitted Gerard Deulofeu was "angry" when he scored the remarkable goal which sparked their Wembley fightback. Celtic took another step closer to the Scottish Premiership title but they made hard work of overcoming St Mirren 2-0 last night. League of Ireland leaders Shamrock Rovers exited the EA Sports Cup at the hands of First Division side Bray Wanderers after a penalty shootout was required to settle the tie. Scott Brown's behaviour was "first class" during and after Sunday's 2-1 victory over Rangers, according to Celtic assistant manager John Kennedy. A towering Dean Jarvis header booked Dundalk's place in the quarter-finals of the EA Sports Cup as St Patrick's Athletic's woes continued at Richmond Park as they suffered a fourth successive defeat. 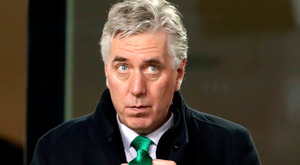 FAI President Donal Conway is believed to be leading the sub-committee of board members that has commissioned an external review into "issues of concern" after a turbulent fortnight. When it comes to playing FIFA 19, David Meyler, who is on loan at League One side Coventry City from Reading, has a singular advantage over the rest of us: he can choose to play as himself. Nuno Espirito Santo had a dream, and on Saturday night at Molineux the vision was there for the world to see in high definition. Bolton's players have asked the Professional Footballers Association (PFA) to intervene after owner Ken Anderson failed to pay overdue wages. West Brom have come in for criticism after parting company with manager Darren Moore.